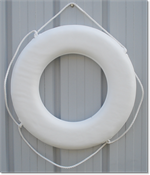 United States Coast Guard Approved Life Ring. 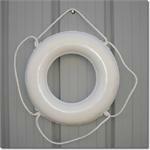 Life Rings and Life Buoys can be personalized. Visit our personalized life ring page for more information. Life buoys manufactured under strict codes and supervision of the United States Coast Guard. These life rings are are made from solid, closed-cell plastic throughout - soft and resilient to the touch - yet almost indestructible. Ring bouys are made with SoftTex surface which resists weather and temperature extremes and will not rot or mildew. Life Ring 20 Inch - Most Popular! 20 Inch Life Ring with rope molded into core. Our most popular life ring size. Marine UL Listed Commercial Ring Buoy. 30 Inch Life Ring with rope molded into core. Perfectly sized for larger boats. Less than perfect 20 Inch Life Ring with rope molded into core. Our most popular life ring size. Marine UL Listed Commercial Ring Buoy. These life rings have are limited quantity. These have cosmetic defects that we will not personalize on. 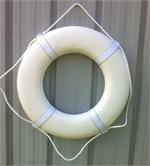 Less than perfect 30 Inch Life Ring with rope molded into core. Perfectly sized for larger boats. These life rings have are limited quantity. These have cosmetic defects that we will not personalize on. Marine UL Listed Commercial Ring Buoy. Horseshoe Buoy for your sailboat. 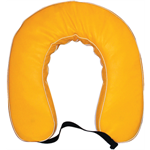 Each Type-IV USCG-approved buoy is made of closed-cell foam and covered with a tough, vinyl-coated fabric. The Horseshoe Buoy . 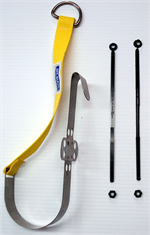 USCG Type: IV. 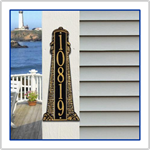 Made from a closed-cell foam and covered with a tough, vinyl-coated fabric. 30 Inch Life Ring with straps. Perfectly sized for larger boats.